As the specter of climate change looms larger than ever, psychological scientists are trying to find ways to motivate people to adopt eco-friendly behavior. For example, research has shown that encouraging people to reflect on the state of the world they will leave to their children increases their motivation to be more eco-friendly. A study analyzing the environmental records of 131 countries suggested that prompting citizens to think about their country’s long-term history rather than its potentially imminent decline resulted in significantly more donations to an environmental organization. And reminding ourselves of our own mortality can increase our aspirations to leave the world a better place than we found it. Yet people still are reluctant to adopt certain environmentally friendly customs, especially when it comes to changing their driving habits. A team of Australian scientists wanted to examine whether a driver-centric, in-vehicle human-machine interface (HMI) such as a phone app, a dashboard attachment, or a built-in system would encourage ecologically sound yet still safe and easily adoptable driving behavior. A total of 34 drivers participated in six focus-group sessions with five or six participants in each session. Facilitators outlined several fuel-efficient and safe driving behaviors, such as smooth acceleration and deceleration, consistent speed choice, traffic flow anticipation, and maintenance of a safe distance between cars. Thereafter, the scientists presented several eco-friendly HMI examples and recorded participants’ feedback on the most effective and ineffective features of each interface. 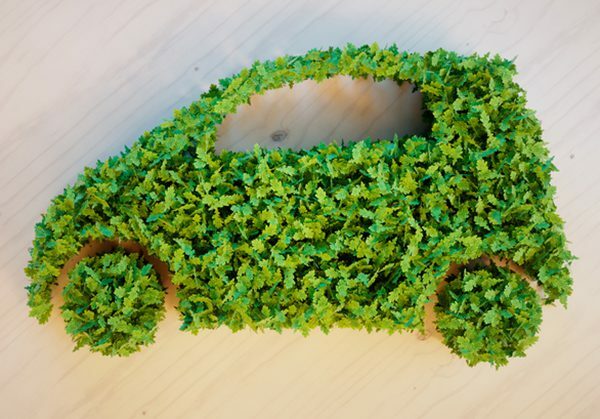 Overall, individuals suggested three ways they believed an environmentally friendly HMI could spur them to improve their driving: by helping them save money, increasing their safety awareness, and reminding them of the importance of eco-friendly driving behaviors. However, only three participants said they believed such a system would actually have an environmental impact. The researchers suggested several reasons for such a low number: People may feel overwhelmed by the various possibilities for implementing ecologically sound driving behavior or may believe their contributions will not make a difference in the long haul, for example. Alternatively, they may be aware of and open to more eco-friendly ways of driving but lack the motivation to do so when those ways conflict with their preferences (e.g., someone may drive fast when they are running behind despite knowing that such behavior is not eco-friendly). The psychological scientists found that the cost of an HMI had a much greater influence on individuals’ decision to use such a system, with 15 participants weighing in about how pricing would affect their choice. While some participants stated that they would only use an HMI if it were free, others argued that certain long-term benefits (e.g., helping drivers reduce gas costs and maintain a well-functioning car) would outweigh an initial cost. They suggested three methods of implementing such a system: a built-in system that comes with new cars and can be retrofitted to older vehicles, a mobile system similar to a GPS, or a smartphone app that can be connected to the car. Several individuals also stated their concerns about HMI systems, including potential distraction, lack of privacy, system unreliability, lack of long-term use, and promotion of illegal behaviors such as using phones while driving. In particular, respondents were concerned about being distracted by both auditory and visual feedback while they were focused on other driving aspects and about the information collected by the HMI being used for other purposes, such as to incriminate them if they committed a traffic violation. The team of researchers suggested that further studies targeting these specific concerns, as well as the primary monetary motivation that participants reported for adopting an eco-friendly HMI system, should be conducted before the widespread adoption of such a system would be possible. They were, however, optimistic about the future implementation of ecologically sound, safe HMIs. Vaezipour, A., Rakotonirainy, A., Haworth, N., & Delhomme, P. (2017). Enhancing eco-safe driving behaviour through the use of in-vehicle human-machine interface: A qualitative study. Transportation Research Part A: Policy and Practice, 100, 247–263.